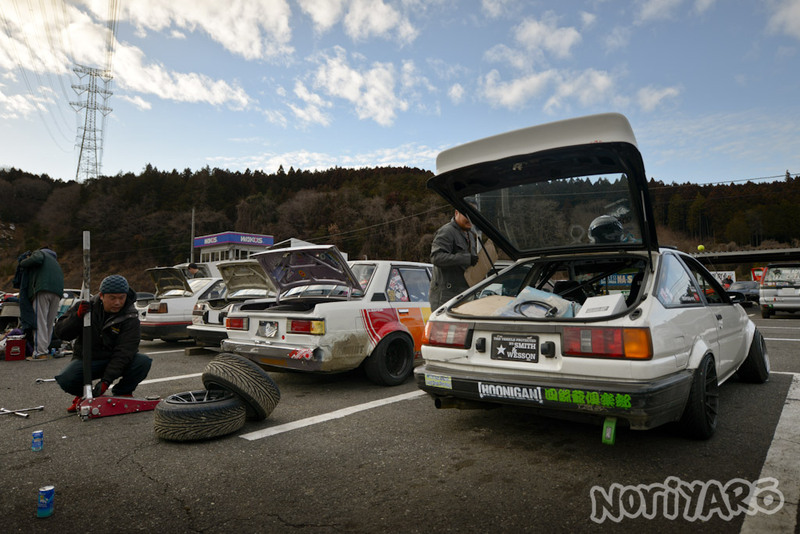 I headed down to Motorland Mikawa last weekend (2nd of March, or 3/2 on the calendar) for the Skylines-only “32 Matsuri” event put on by Team A-Bo-Moon. 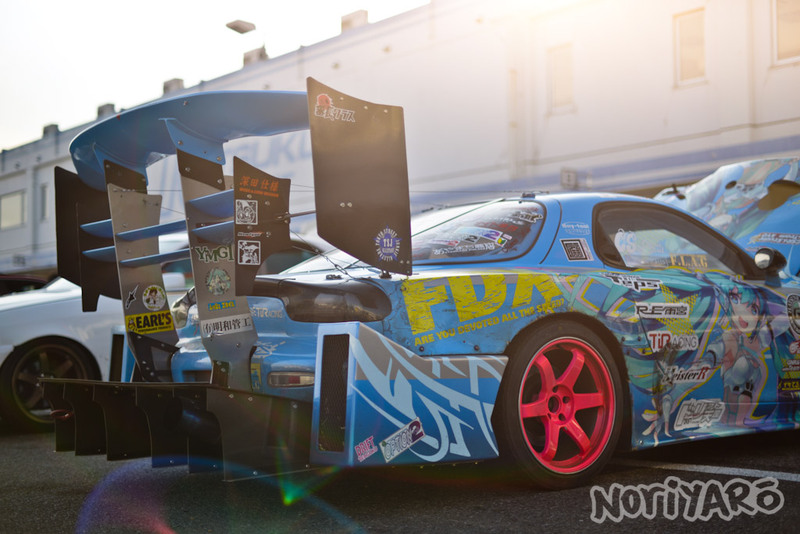 Enjoy some pics of one of the raddest drift teams in Japan while you wait for the video coming out this Friday. Remember the Buzz Killers video from last week? The guy in the AE86, Takuya Takahashi, is back again in his other AE86 (yep, he has more than one!) making mincemeat of the corners at Tsukuba Circuit. If you’re a regular reader of Noriyaro and aren’t subscribed to the Noriyaro Youtube channel, click this link right now and sort that out. Even if you are a regular visitor, you might not know that I’ve just started a new Noriyaro2 Youtube channel. Expect things like “behind the scenes” and bonus videos that are a bit longer than the ones on the main Noriyaro channel. The first two vids uploaded are two uncut ten minute drift sessions from the “Buzz Killers” video posted about a week ago, with more to come from other events later this month. 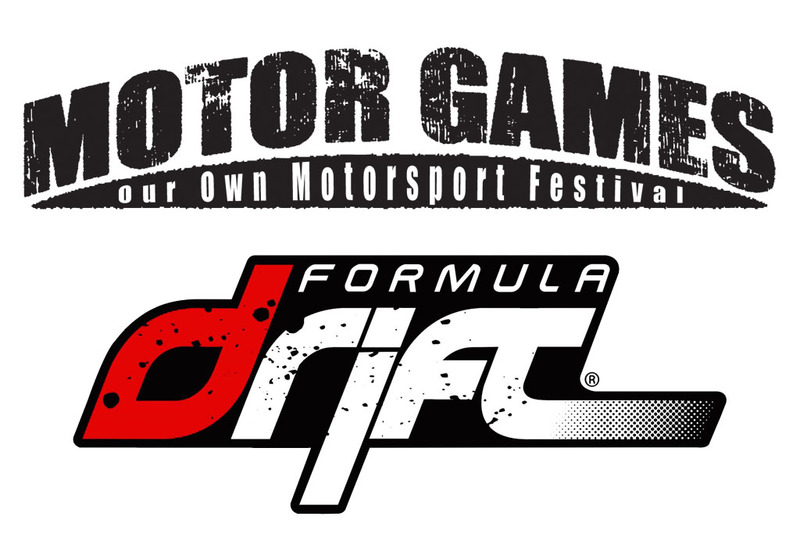 I’m sure a lot of people have heard about Formula Drift announcing that they will be running events in Japan, so after the official announcement was made last weekend, I asked a few questions and found out a bit more about what the Formula Drift events in Japan are going to be like. Here’s the latest Noriyaro video shot earlier this week. Enjoy! THE MONKEY LIFE (A Driftmonkey Movie) from Zero Media on Vimeo. Late last year, I helped the boss of Norway’s Driftmonkey drift team, Ove Harlem, as a translator and assistant when he came over to Japan to visit Ebisu Circuit and do a one-day drift school with Team Orange’s Naoto Suenaga. Not only is this a video of that, but it’s also a pretty good insight on the insanity that is Norway’s notorious Gatebil events. Damn, I want to visit one of these! Shot and edited by Luke Wilson. I hung out with some cool guys today. Crazy video coming Thursday! Don’t worry. Despite the title, there are no more crashed Hakosukas this time. You may have seen on the news that Tokyo experienced the heaviest snowfall in over a decade this weekend. 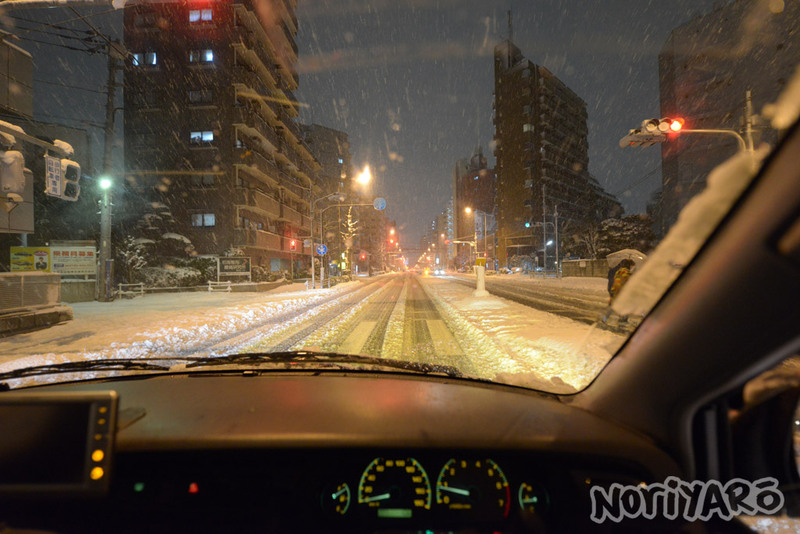 Since I had studless snow tyres on my van, as well as chains, a shovel and tow-rope in the back, I thought I’d go out for a little night drive and see how everything looked.